At Roleystone Animal Hospital we pride ourselves on providing quality, compassionate and affordable health care for all your pets. Our team have experience not only with dogs and cats, but also with ferrets, rabbits, rodents, birds, and wildlife! We aim to make your pet feel at ease in our clinic with a caring and gentle approach to treatment and consultations. We are fully equipped with large, comfortable examination rooms, diagnostic machines and pharmaceutical stores, so we can provide on-the-spot assistance for nearly all pet health, medical and surgical needs. You can even have a virtual visit with us here before you come down in person! At Roleystone Animal Hospital, you’ll be fully supported with sound advice. We know that helping our clients starts with providing a good understanding of health care issues and treatment options. With good advice and professional recommendations, you’ll be well equipped to make the best ongoing health care decisions for your pet. 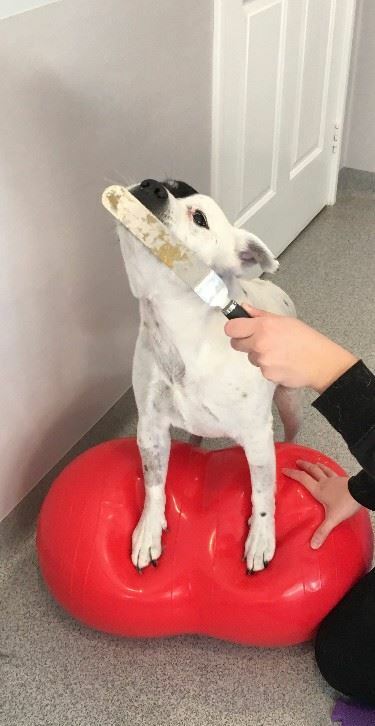 Roleystone Animal Hospital is located in Kelmscott and proudly offers our veterinary services not only to the Roleystone area, but also to Armadale, Bedfordale, Brookdale, Byford, Camillo, Champion Lakes, Forrestdale, Gosnells, Karagullen, Kelmscott, Kenwick, Martin, Mount Nasura, Mount Richon, Seville Grove, Southern River, Thornlie, and surrounding areas. We look forward to seeing both you and your pet! 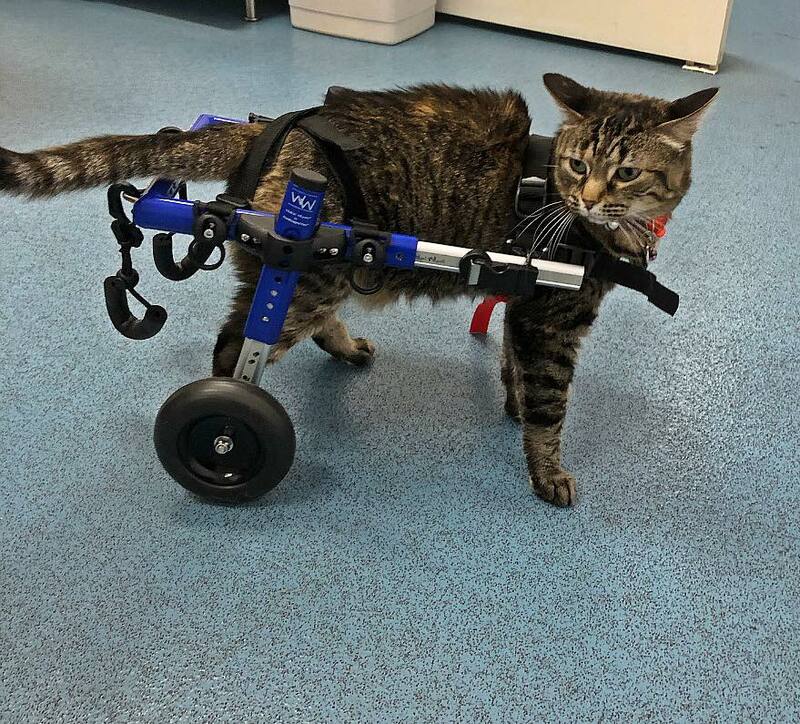 February 2019 - As our team have become more involved in rehabilitation therapies, we have found that some pets need a bit more support to be independent. This is why we have become a Walkin’ Wheels Wheelchair Dealer. We now carry rear wheelchairs and kits to convert them into quad wheels for sale or hire. Dr Yoko, Rebecca and Renee are certified to fit the chairs and our rehab team can develop individually tailored rehabilitation plans for these patients; providing more options to improve the mobility and quality of life to pets in Perth and WA. As our models can attest, they are comfortable to wear and easy to move around in. You can watch Roxy move around here. 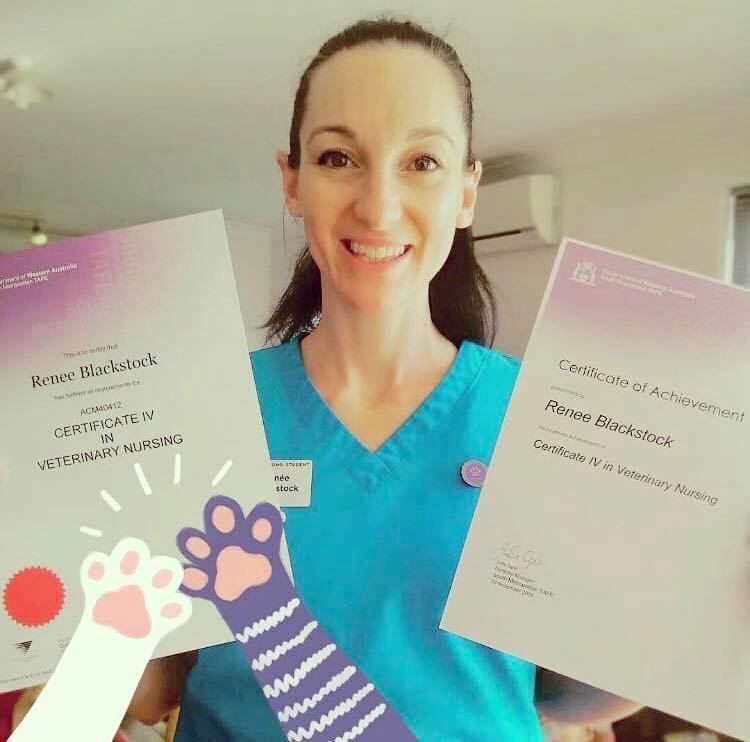 January 2019 - Representing over 180 hours of continuing education and study over 2 years, we are pleased to announce our nurse Rebecca has become an internationally recognised Certified Canine Rehabilitation Veterinary Nurse! She is the first nurse in WA with this qualification, and with Dr Yoko, we are now the first vet hospital in WA with a certified vet and nurse. 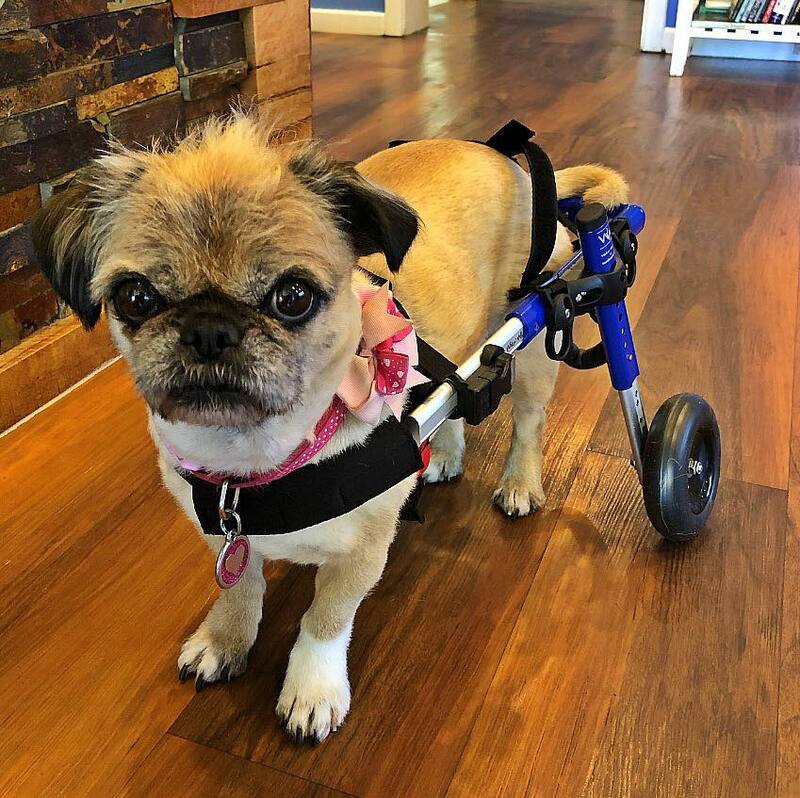 In addition, Rebecca has also just completed her certification to be a canine wheelchair fitter with Walkin' Wheels! In June 2017, Rebecca completed a short course in physical therapy through the Australian College of Veterinary Nursing. 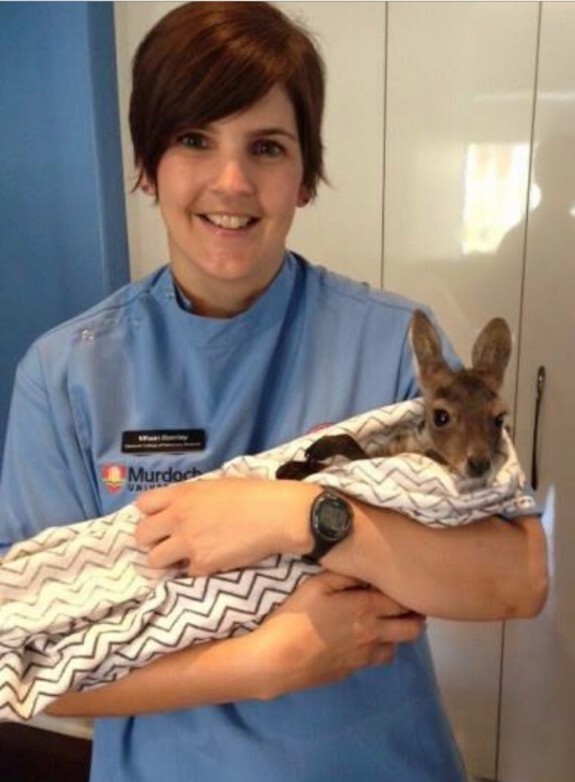 She then went to Brisbane in December 2017 and August 2018 to attend a 3 day course in Canine Sports Medicine and a 5 day Introduction to Canine Rehabilitation. In October 2018, Rebecca traveled to Wheat Ridge, Colorado to complete the Canine Rehabilitation Veterinary Nursing course. She then went to Los Angeles and undertook a 40 hour internship at California Animal Rehabilitation, where she got to practice the skills she had learnt throughout the certification process. During this time she got to work with a variety of cases including post operative, neurological and geriatric patients as well as develop new techniques. She is already putting all this knowledge to use, not only with dogs, but also with birds and reptiles! Well done Rebecca, your continued dedication and hard work to expand the services we can offer to our rehabilitation patients is outstanding! December 2018 - This month we congratulate Renee on graduating from Trainee Vet Nurse to Registered Vet Nurse, having successfully completed her TAFE training. Not only was she successful, but she received the Academic Achievement award for topping her class. Congratulations Renee, we are all very proud of you! October 2018 - Continuing on with the momentum from last month, our team have been even more busy on the learning front! 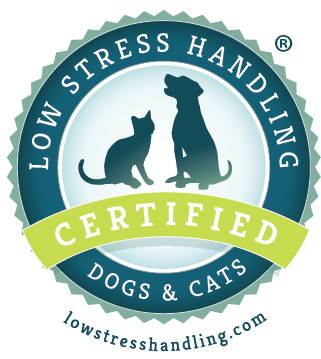 We are extremely proud to announce that with Dr Tiffany completing her Low Stress Handling certification, Roleystone Animal Hospital is now a Low Stress Handling Certified Veterinary Hospital! All of the staff at Roleystone Animal Hospital love animals and are dedicated to providing the best care possible to your furbabies. However we understand that for some pets, coming to the vet can be a stressful, or even scary experience. This is why we are committed to ensuring your pet has a positive, low stress experience when they come in to see us - we love seeing them and we want them to feel the same! For this reason, our staff have undergone Certification in Low Stress Handling, so that we can foster and maintain a calm and trusting relationship with your pets. This Certification represents at least 20 hours of further study for each person who is certified and is comprehensive in teaching the latest in animal behaviour and body language. This ensures that we are well equipped to understand their "words", and has given us all many techniques and tips on how to handle pets in a positive and relaxing way. During the month of July, in celebration of our 5th Birthday, we are donating $5 from every anaesthetic in July divided equally to Darling Range Wildlife Shelter and the Australian Animal Cancer Foundation. September 2017 - Over the past four years, you may have noticed the increasing number of veterinary students spending their holidays doing work experience in our hospital. We are really excited to say that our team's commitment to sharing our knowledge with veterinary students has recently been recognised by Murdoch University's College of Veterinary Medicine. As such, we have been invited to become officially recognised as a Partner In Veterinary Education due to the standards of practice we uphold, the number of vet students we host and the "overwhelmingly positive student ratings" we have received. We are truly honoured to have received this recognition, and look forward to continuing to provide such experiences for others. July 2017 - More congratulations are in order! This month we are really excited to announce that Dr Yoko has just become certified as a Canine Rehabilitation Therapist. This qualification provides you with the assurance that your pet's osteoarthritis, post operative rehabilitation, lameness or neurologic disease has not only veterinary basis, but also a physiotherapy basis for treatment. Dr Yoko can design a wide range of therapeutic programs to improve your pet's comfort, mobility and function with both in clinic and at home treatments and exercises, that are both fun and functional. If you would like your pet to have a rehabilitation assessment with Dr Yoko please don't hesitate to contact us to book it in for you. The initial consultation takes about 1.5 to 2 hours, so we prefer for your pet to be left with us for the day, so we can break up the assessment to make it more fun for your pet. At the end of the assessment, Dr Yoko provides you with a written assessment and treatment plan, and there are always alternatives available to make your pet's rehabilitation suit your schedule and lifestyle. February 2017 It's here... Our official hospital tour video. You can check it out here, and as always, we are more than happy to show you around in person too! For more news - please visit our "Latest News" page. Click here to meet our pets! We are open six days a week, and can make house calls on weekdays. We also offer a Drop Off Consult Service, so you can leave your pet with us for the day if you have to leave for work/school early. Please don't hesitate to contact the hospital to make an appointment or to ask us about your pet's health! If your animal requires veterinary attention outside of our opening hours, please do not hesitate to take them to our colleagues at WAVEs Emergency (9412 5700).